Engraved Silver Plated Letter Opener with scabbard. 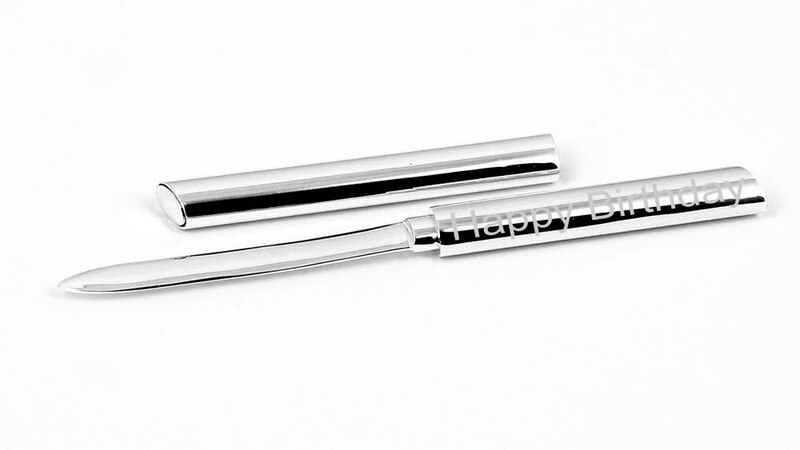 A beautiful engraved silver plated letter opener with scabbard. It measures 170mm long by 15mm wide (handle). Engrave with a full name or small message.